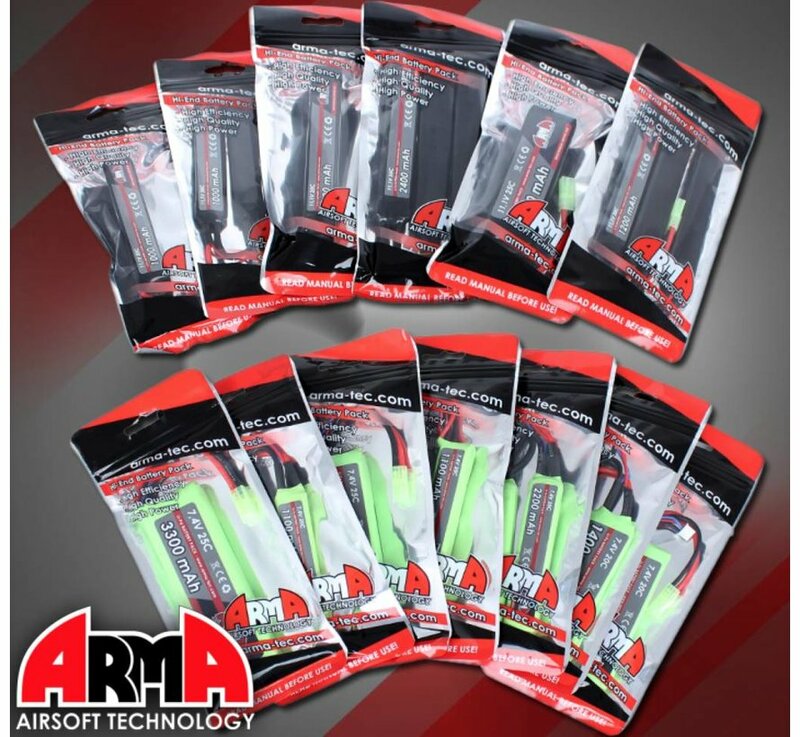 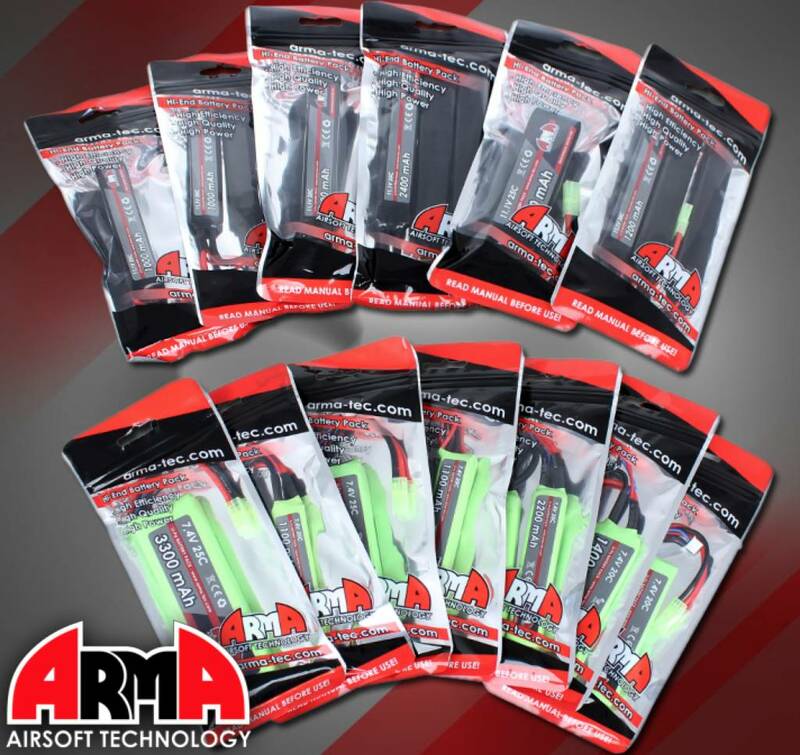 ArmaTech LiPo 7.4V 1100mAh 20C Stick Type. 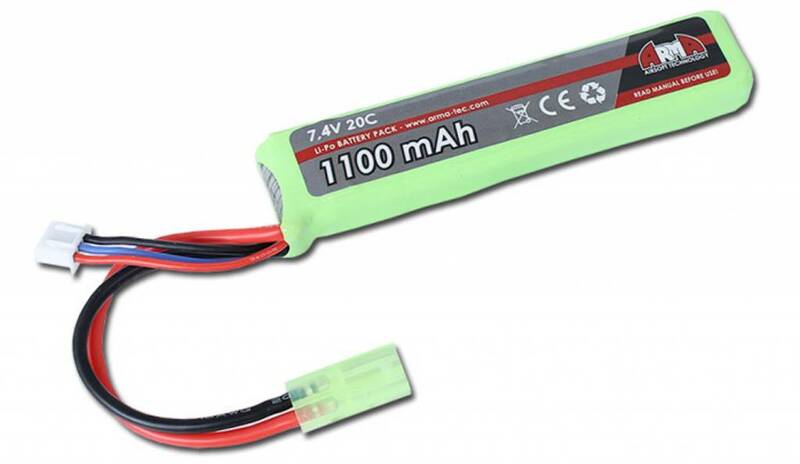 High-quality LiPo battery with 7.4V total voltage and 1100mAh capacity, manufactured by Hong Kong based ArmaTech. 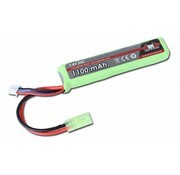 It consists of two high-quality lithium-polymer cells connected in one package. 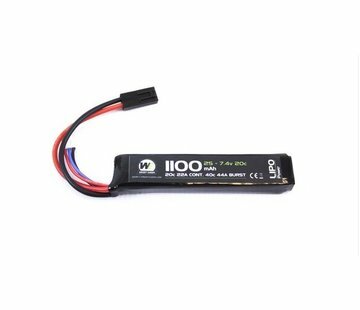 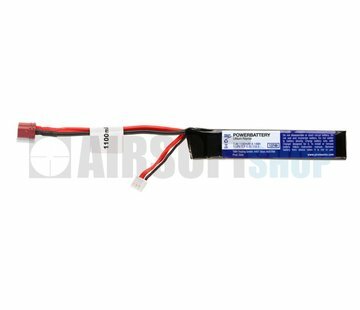 7.4V voltage and use of LiPo technology provides performance comparable with 8.4V and 9.6V NiMH batteries. 7.4V battery is ideally suited for replicas with main springs ranging from M90 to M120.